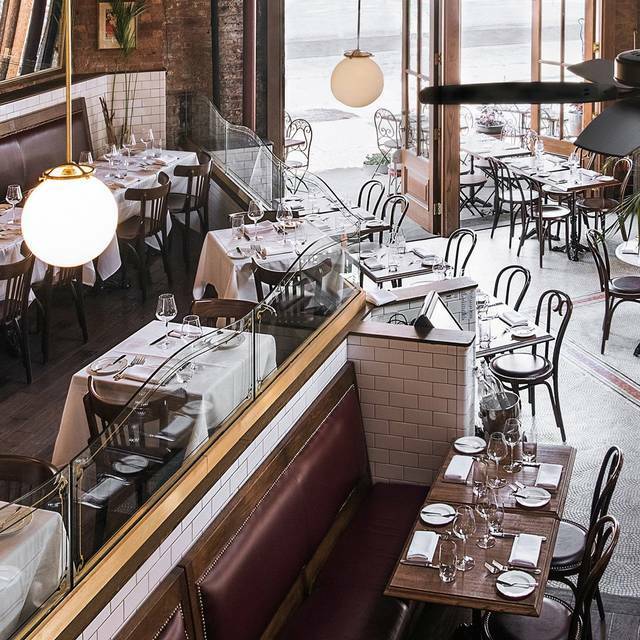 BOUCHERIE is a traditional FRENCH brasserie and steakhouse, celebrating Joie de Vivre in the heart of West Village. Executive Chef Jerome DIHUI, former Chef de Cuisine of Pastis, prepares a menu of French classics and timeless bistro favorites, in addition to the DRY-AGED STEAKS. 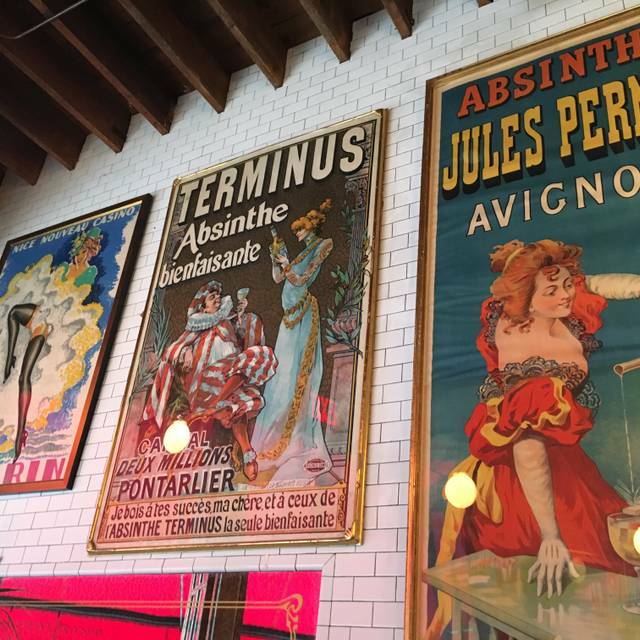 An absinthe-inspired bar offers classic drinks, signature cocktails and craft beers. 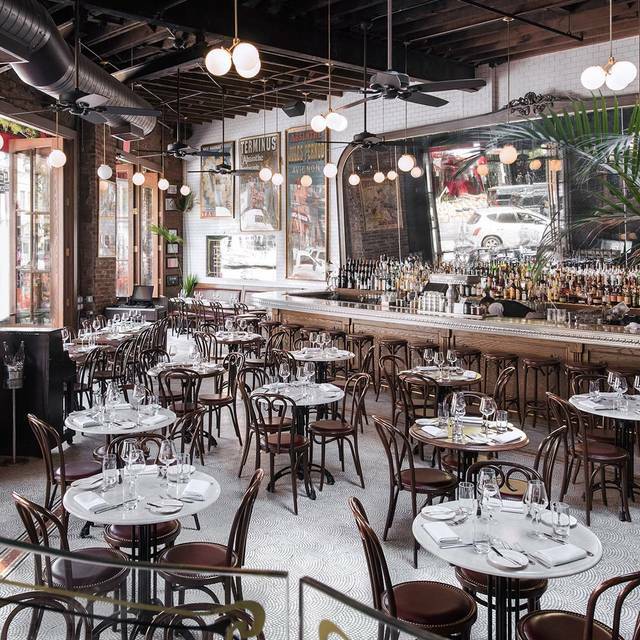 Located in the building that used to house the prominent Circle Repertory Theater, the 320-seat restaurant provides a diverse array of dining options from the spacious dining room, a seat at the butcher counter, the intimate second-floor gallery with private dining and outdoor cafe. My first visit to Boucherie and it was amazing. The food was wonderful and the service was amazing. Plus, it did not hurt that the Provence Martini and Profiteroles were undeniably incredible. I would highly recommend. I had the Salmon --cooked to perfection and delicious. My dining companions had the scallops and duck confit --all would agree it was culinary perfection. I definitely will go again. Outstanding food (lamb, mussels, bouillabaisse, citrus salad, fries!). Wonderful waiter who was timely with all and never interrupted. Fabulous ambiance. This was my birthday celebration with family. We will return often. 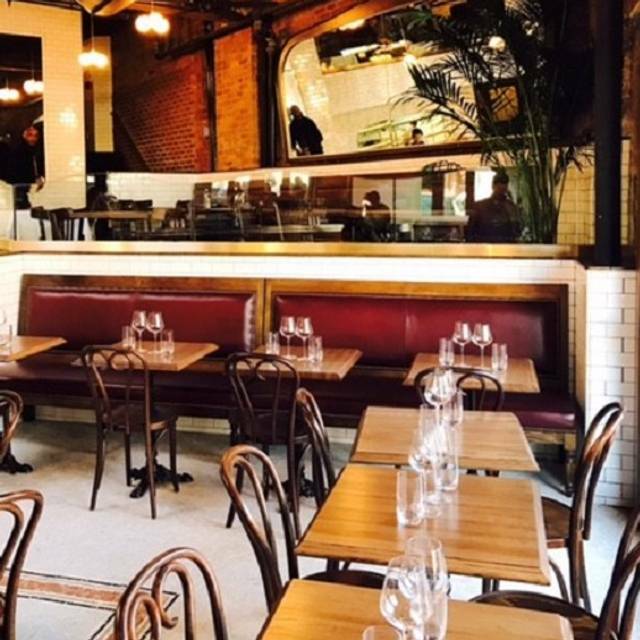 If you want to feel like you're at a bistro in Paris, this is the place for you! 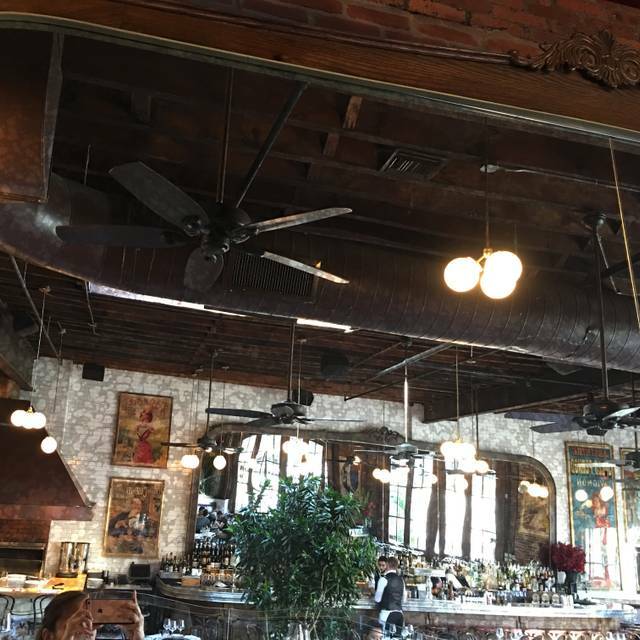 Excellent food, wine-knowledgeable staff, and beautiful atmosphere. It is a fun French Bistro. Loved the physical space. Great bar. Pretty noisy. However, we were there on a Saturday night. Food was good. Servers were very nice. It’s a general loud and good energy restaurant with food that are some are delicious and some are just ok : depending what you order. We were highly disappointed on the service. It took 15min for our waiter to take our order. Took our drinks order but it came after our food. And never came back to ask for a refill. We never had a chance to as could never find him. The bus boys served our food, and since they can’t take orders ! handed us our check and left us alone! oh well ! 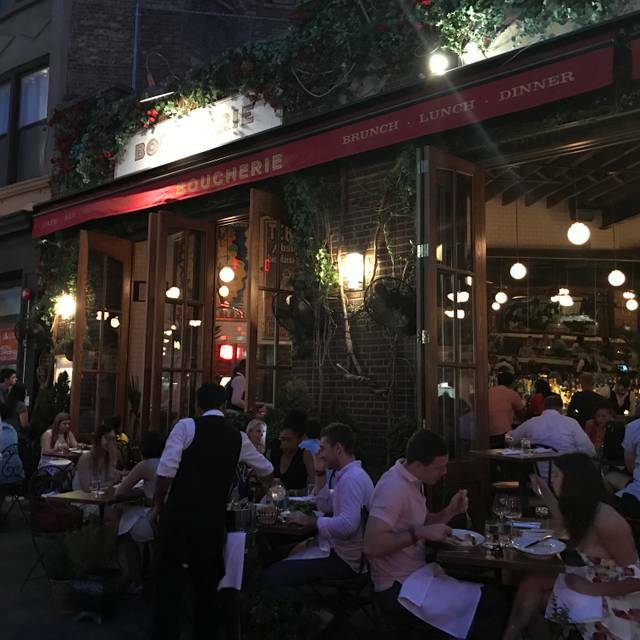 This was the best restaurant experience I had while visiting nyc and one of the most happening in West Village, the ambiance was so cute and lively and the food was spectacular! Try sitting one level up to have a nice view of the restaurant! Boucherie never disappoints. Service is excellent and food amazing. I made a reservation here to celebrate a birthday. I listed “birthday” as the occasion on open table and didn’t even feel welcome as soon as we stepped in. This place did not meet any expectations at all. Upon checking in, they gave us a table smack dab in the middle of the walk way, where to get any where, people have to keep walking around/past our table. I asked for a booth seat. The hostess responded “sorry we already set up the tables” while already walking away and didn’t even look at us, or waited to hear if we were okay with that. Meanwhile, I saw other groups and couples asked to switch seats and the same hostess accommodated them. Mind you, the whole place was barely filled, so they definitely could have put us somewhere else. Also, I saw tables moved to accommodate other couples. Since they sat us in the middle of the walk way, the staff all kept walking past me and brushing the back of my head, hair, shoulders and back, all while carrying buckets of ice, liquids and foods. It was so irritating. I had to switch my seat to the other side of the table. Service was also not up to par. For a semi high end restaurant, the service was extremely poor. The price tag definitely didn’t match the service and crowd. I would not dine here again. Food was spectacular!!! We cannot wait to return on our next trips to NYC. The ambiance was really nice, and lunch was awesome. I highly recommend the experience! Beautiful restaurant - too much attitude from anyone who works there. No attempt to make you feel valued or even served. Hostesses especially rude and with a reservation treat you w/contempt if you want a nice or special table. Kinda like “you’re lucky you get to eat here!” Great food and ambience but not a great happy vibe. Great food, hugely buzzy. Friendly service. Great place to go on a Saturday night. Steaks, rose, filet mug in, salads and ambiance is top notch! The seafood bouillabaisse was spectacular. Food very good. Service poor. Obnoxious table of 3 drunk guys next to my family. Food took well over an hour to arrive after placing order. Asked to speak with manager but server refused to get him. Great French Bistro but extremely expensive and don't dare ask for a substitute and don't even ask for "no Frites" . Perfect - a business meeting for 7. Great staff, location, space, food... book it. Excellent food and the service was very good .. a real great place to set up a casual business dinner, I would be back here for sure .. I really like this place. I went with a group of 8 people and they set up a nice large table for us. Service was excellent and food was quite good. 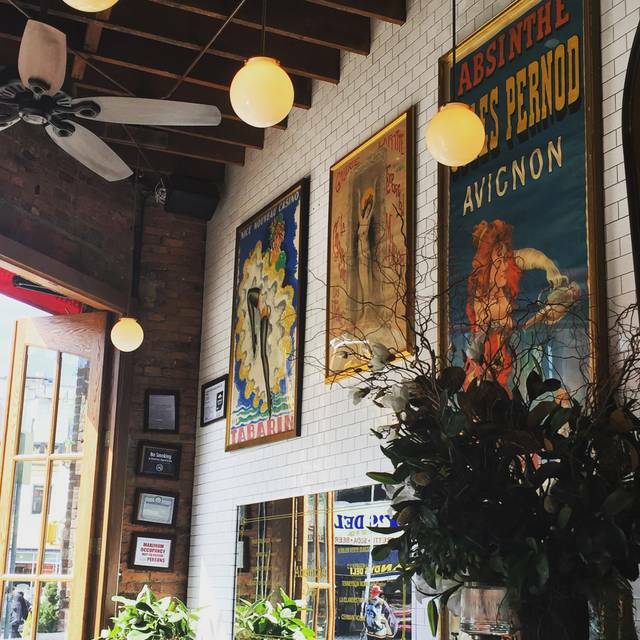 I liked the inside of the restaurant with all the Parisian posters. I would definitely go back. Also, in a cool part of town with lots of interesting places to walk to nearby. The atmosphere is loud and noisy, just like a bistro in Paris. The food is great and the service wonderful. Terrible service. Server definitely didn't care about us. Beautiful dining area. Delicious burger but dry chicken. Great atmosphere. Perfect evening. Food was amazing. Pistachio bomb dessert was unworldly. 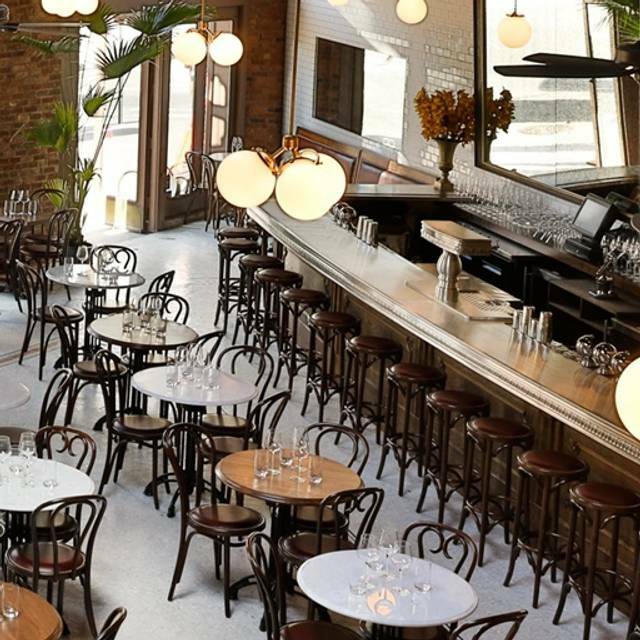 Boucherie suffers from what most restaurants in New York suffer from. They have to over charge for their food in order to stay in business. A $300 meal becomes $450. Not worth it but I can't say anything bad about this place other than the pricing. The service and ambiance were poor. We asked several times for small items (salt and pepper, olive oil, coffee) and either got refused by bus boys (when asked for salt and pepper one bus boy actually said “oh I’m just a bus boy, i’m not allowed to bring you that - let me get your waiter) or never received items we asked for. They also charged for coffee by the cup, which seems like a cheap thing to do for a restaurant that’s not exactly low priced. Won’t be going back again. I really wanted to love this restaurant. I haven't had a French meal in so long, so I was very excited to come check it out. The quality and taste of the food was average at best. For a French restaurant that specializes in steak, they couldn't seem to nail down our degree of doneness quite right. I asked for a medium steak, which erred close to medium well and the bone in New York strip was also delivered close to medium well when it was ordered medium rare. For a place specializing in steak, this was a shame to see. We sent one of the two steaks back. The ambience and select drinks were tasty. We ordered the Amelie which was sharp and on point, but the old fashion fell beneath the mark as well. I also ordered the onion soup, which was fine, and the mussels, which were also adequate. I probably wouldn't return for the value we deemed we got for our money. Great food, service and atmosphere. Definitely plan to return. The entire evening was perfect. Our waitress was excellent. I apologize and am disappointed that I can’t remember her name because she was superb. Very overpriced for for what you get. 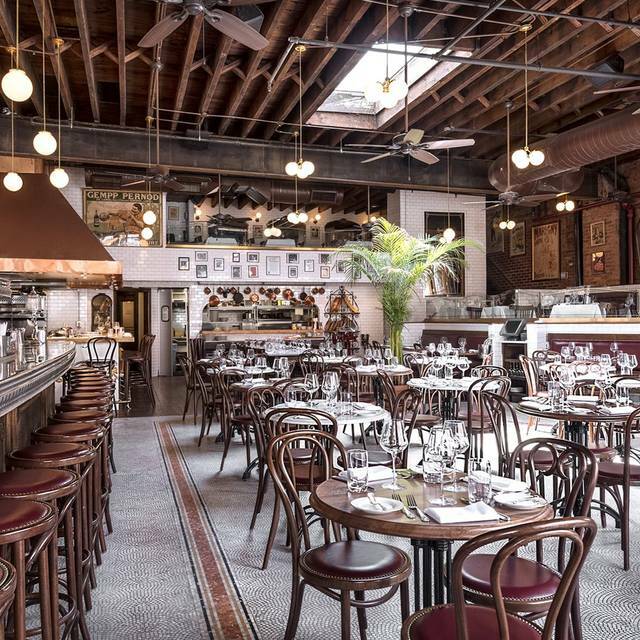 Nice location and interior but a $44 burger??? That wasn't all that great? The overall experience was pretty good. The tables were quite close together though (commonplace in NYC so nothing too crazy) but unfortunately, there was someone seated next to us that was literally screaming instead of talking in a normal tone. So, it was quite loud initially but much nicer after that table left and there were fewer people in general. It must be very loud during peak dinner time (we dined at 8:30 pm). The food was great but for some reason, they brought out everything we ordered at once. Salads and entrees both arrived at the same time. Not only is this obviously not desirable but there wasn't even enough space on the table for all of the plates to fit. We opted to eat our dinners while they were hot (beef bourgeon was absolutely delicious). Overall I would give this another shot in the Summer when I could sit outside but there are so many options in this area it certainly won't be a regular spot for me personally. We stayed in New York for this past weekend and wanted to have one nice “fine dining” experience. We enjoyed the decor and we thought the service was good. Nothing was really outstanding. I like to the point service but for a nice fine French restaurant I like to have room to breathe between courses. There was hardly any pause. The food was good but not outstanding no oohs or aaahs. Considering this I will recommend but tell my friends that I think there is a disbalance between price and expectation. Delicious food and superlative service.